Today we're taking a trip back to the 90s, when comics where covered in foil and the X-men were all the rage. Yes my friends, I was a 90s kid (well...late 80s/90s kid) and I raced home every day after school to watch my favourite cartoon. X-men: The Animated Series wasn't my first foray into comics, but it did have a lasting impression. My love of these two character hasn't faded. Before Cat-Beast and whatever-the-design-is-now-Beast, thee was 90s Beast. 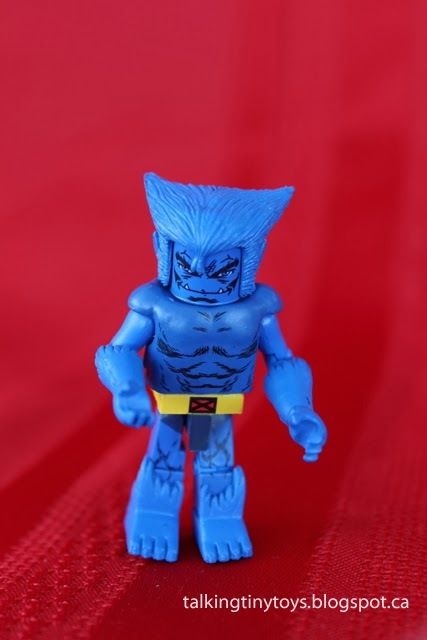 A little bit ape-like, bright blue, and always furry. His costume consisted of belted underpants and that's exactly what this figure gives us. He's painted a fantastic shade of bright blue and given just the right amount of detail. 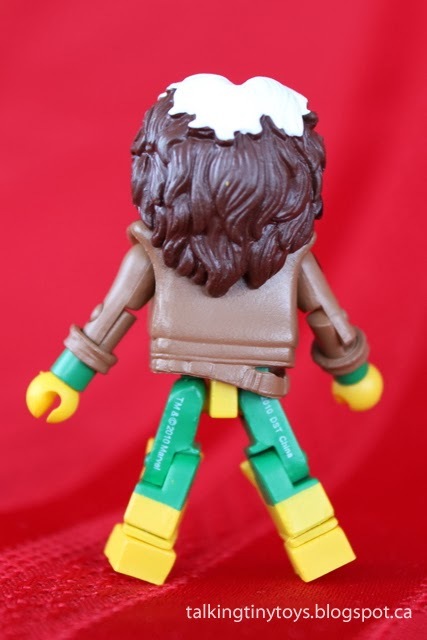 His body mold is slightly larger than average and the hair sculpt gives him his iconic look. He's even given a toothy grin. Hank McCoy may be a beast, but he's an amiable one. You can see the individual strands of hair being pulled back to make up his fur. The back is a little bit messy and works well. 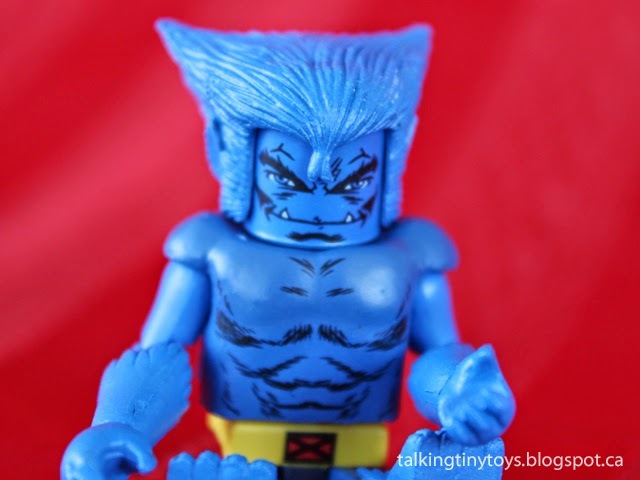 Creating the look of fur in plastic is a challenge but this minimate does it right. They've painted the indication of hair (and abs) on his chest, back, and legs. 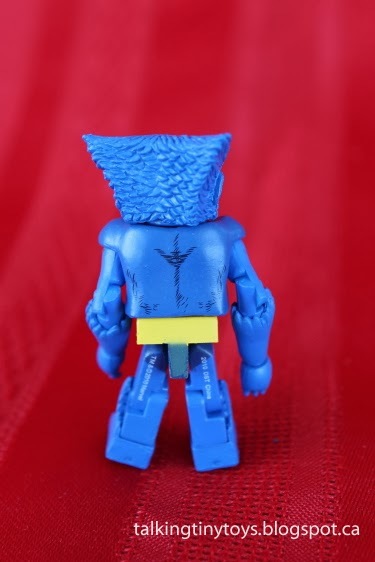 My favourite additions are the clawed and fur trimmed hands and feet for the extra beastly effect. 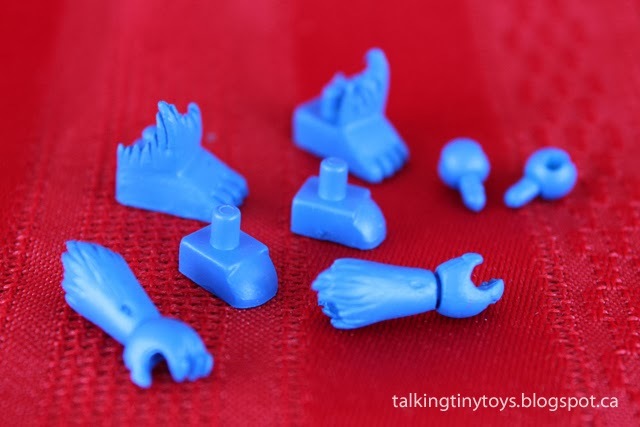 He also came with regular hands and feet...but I don't know why you'd ever want to use them. Next we have the Southern Belle. 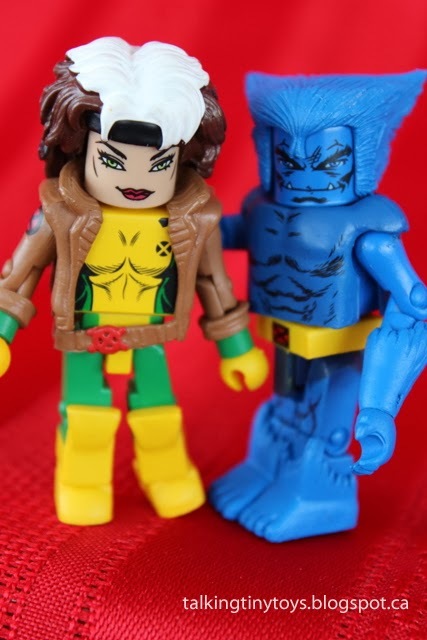 Rogue may not be everyone's cup of tea, but I adore her. A country girl with intimacy issues? 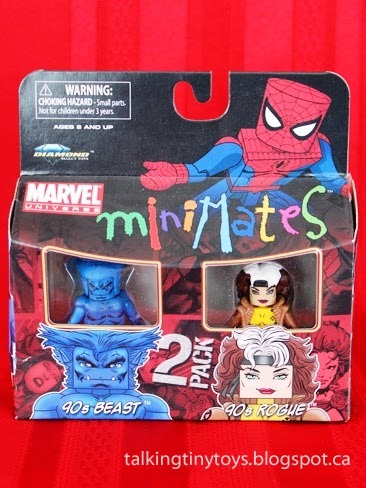 I have no idea what that's like...In fact, Rogue and Beast are two of my favourite X-men. 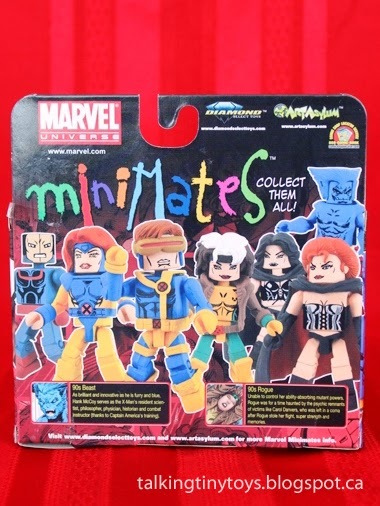 Score one for good packaging! 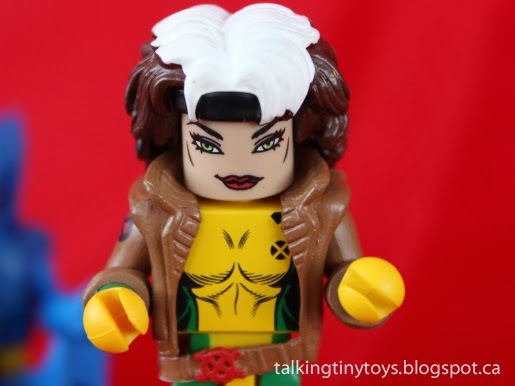 90s Rogue comes in her yellow and green spandex suit and iconic brown leather jacket, complete with x-belt. Her shaggy mop of deep brown hair is accented with white (the painting is a little sloppy) and captures the 90s vibe. The collar and cuffs on the jacket are great touches. It would have been easy to just paint brown down to her hands, but they didn't. It might not be as detailed as the Loki/Heimdall set, but nowhere close to lazy. 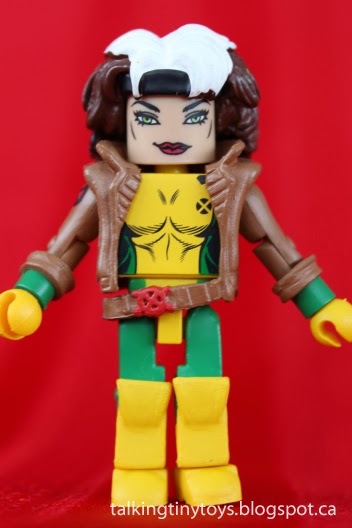 What I love most about this figure is Rogue's expression. Her bright green eyes pop with her red lips. Her arched eyebrows are dramatic and a little mischievous. 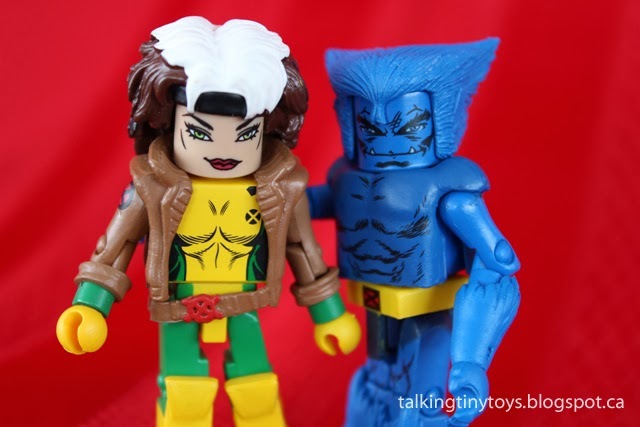 While Rogue and Beast aren't exactly the most logical pairing, I'm quite happy with the two of them. They're a great addition to my collection. Gotta love the 90s! Remember when Beast spent an entire season of the cartoon in prison?